It is one of the most prominent Hindu festivals in Kerala. Vishu is celebrated in the first day of the Malayalese month Medam (corresponds to the month of April/ May as per Gregorian Calendar). 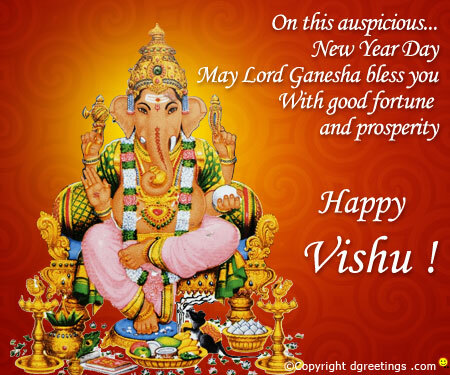 On this day, wealthy families distribute coins called “Vishukaineetam” among the destitutes. Cladded in new clothes, people celebrate the auspicious day by bursting firecrackers and enjoying an elaborate lunch “sadya” with family and relatives.